For boys and girls entering grades 4-9 in the 19/20 school year. At Camp Blue Ridge in Mountain City, GA.
For girls entering grades 4-12 in the 19-20 school year. At Green Oak Ranch in Vista, CA. For boys entering grades 4-12 in the 19-20 school year. At Green Oak Ranch in Vista, CA. For boys entering grades 4-12 and girls entering grades 4-10 in the 19/20 school year. At Camps Equinunk and Blue Ridge in Equinunk, PA.
For boys entering grades 4-12 and girls entering grades 4-8 in the 19/20 school year. At Camps Manitou in Oakland, ME and Camp Somerset in Smithfield, ME. For boys and girls entering grades 4-7 in the 19-20 school year. At Camps Lake of the Woods and Greenwoods in Decatur, MI. Description of program: Experience Camps provides boys and girls (check camp location for age ranges), who have experienced a significant death-loss with a free one-week summer camp program that helps build confidence, encourage laughter and navigate their grief through friendship, teamwork, athletics, and the common bond of loss. It is a safe environment where kids can explore their grief, break the isolation they may feel with their non-camp peers, and have a whole lot of fun. They have the opportunity to meet and bond with kids who are going through similar things, while getting all of the benefits of the traditional summer camp experience. Through team sports, individual challenges and community living they learn about leadership, confidence and cooperation. Under the guidance of professional bereavement staff, campers have the opportunity to share stories and remember the one who died, while exploring skills that will help them after camp. Kesem is a nationwide community, driven by passionate college student leaders, that supports children through and beyond their parent’s cancer. A program of Kesem, Camp Kesem operates free summer camps for children who have been impacted by a parent’s cancer. Founded at Stanford University in 2000, Camp Kesem has since expanded to over 100 chapters in 40 states across the country. Camp Kesem serves children who have lost a parent to cancer, have a parent undergoing cancer treatment, or whose parent is a cancer survivor – an estimated population of over 5 million children in the United States. Camp Kesem runs over 100 weeks of fun, action-packed and 100% free-of-charge camps from coast-to-coast every summer. Serving children ages 6 to 18, our campers experience a warm and loving environment with other children who have similar life experiences. This community provides the foundation for confidence building, improved communication skills, enhanced life outlook and attitude. 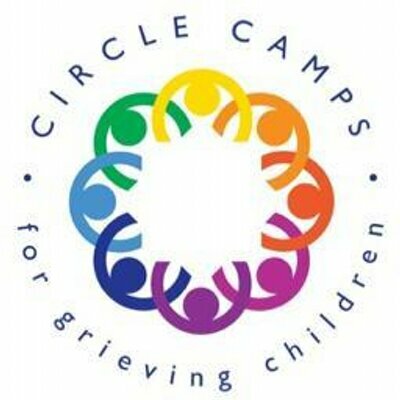 Description of the program: For more than a decade, Circle Camps for Grieving Children has been providing a week-long overnight camp program in Maine for bereaved girls. Camp Fleur de Lis now brings its program to Fitzwilliam, New Hampshire. At Circle Camps, we know the value of overnight camp. We know the value of play, of engaging in healthy activities such as swimming, kayaking, and canoeing, tennis and archery, arts and crafts, softball and basketball, and singing around the campfire. We also know the value of helping children talk about the losses in their lives. Circle of Fleur de Lis brings these together, so our campers can have summer days of childhood fun, meaning, and bonding. Our program integrates traditional overnight camp activities with the opportunity to do “grief work” in a safe and caring setting. Under the guidance of professional bereavement staff, surrounded by supportive peers, campers are able to share their stories and remember the parent who has died. The program is entirely free to campers, and transportation will be provided. For more information or to apply for camp: Please email sarah@fleurdeliscamp.org, call 603.585.7758, or apply here. Description of Program : Here, children can journey through grief—and embrace life—in a safe and supportive atmosphere. Camp Kangaroo is a bereavement camp experience offered free of charge to children in the community who have suffered the death of a loved one. Participants receive grief education and emotional support combined with fun camp activities. The only national bereavement camp of its kind, this program is psychotherapy and creative arts therapy based. Led by dedicated professionals and trained volunteers from Seasons Hospice & Palliative Care, Camp Kangaroo helps children feel less alone in their grief, provides them with a supportive environment to express their emotions, and helps them learn effective coping strategies. It gives an opportunity for children to find new meaning following the loss of their loved ones. Camp Kangaroo is a source of healing and fun for the children who need it most. Over the course of two days, children will be encouraged to process their grief and to learn healthy ways of coping with their loss. The primary goal during this weekend will be to provide children the opportunity to meet others who have experienced a death and to share and normalize their feelings. Activities will focus on memorializing their special person, self-care techniques, building relationships and having fun. Parents and guardians are strongly encouraged to attend an adult program, which will be taking place concurrently on Sunday, July 15, 2018. For more information visit: Please contact Luisa Kcomt at 847-692-1000 or email her at: LKcomt@Seasons.org. As space is limited, registration forms must be received by June 2019. After we receive the form, a member of our staff will be contacting the family to schedule an in-home interview. Parents/guardians will be asked to complete a Bereavement History Form and participate in the in-home assessment visit. Description: Camp Tapawingo, a program of Circle Camps, is a week long traditional, overnight camp for girls ages 8-16 that have experienced the death of a parent. If you would like more information, or have questions, please visit the following: Circle Camps website. Description of program: Camp Angel Wings was developed for children and teens who share similar experiences with grief. The camp provides them with an educational, therapeutic experience that is also enjoyable. The camp helps counter a sense of isolation that children can feel after losing a loved one. Participating in activities such as swimming, focused arts and crafts activities, and small discussion groups can help children and teens explore their many thoughts and feelings about grief. It also encourages them to try new or familiar activities that help them feel good about themselves. Description of program: Camp Erin Boston is a FREE weekend overnight camp for children and teens ages 6 through 17 who have experienced the death of someone close to them. This three day, two night experience will be filled with traditional and fun camp activities combined with grief education and emotional support and will be facilitated by bereavement professionals and trained volunteers. For more information or to apply for camp: Call Jennifer Wiles, Parmenter Community Health (508) 358-3000, ext. 244. 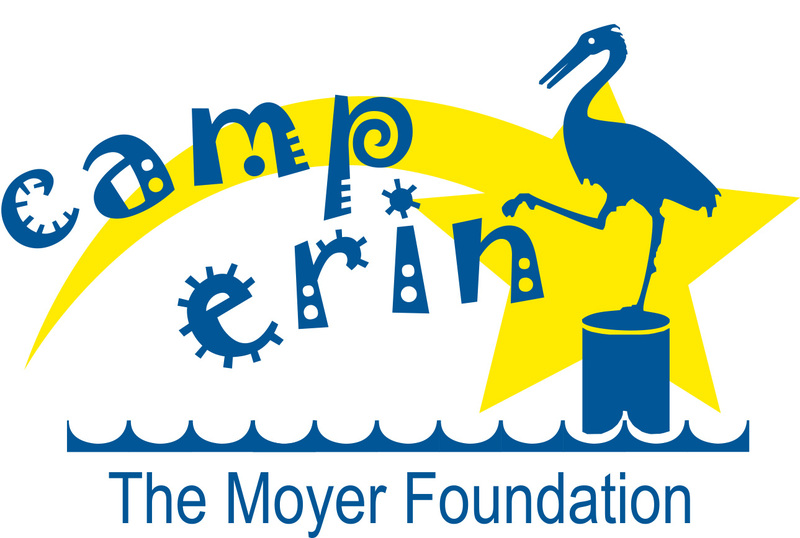 For an overview of the Erin program http://www.moyerfoundation.org. 2019 Dates: Saturday, July 13, 9:30 a.m. – 5 p.m. Description of program: The Bertolon Center for Grief & Healing, a program of Hospice of the North Shore & Greater Boston, has developed a weekend day camp to support children and their families who have experienced the death of someone close to them. The camp offers a combination of child focused activities including arts and crafts, water activities and games. The camp also offers relaxation activities and workshops for adults. Parents or adult caregivers of campers will receive a comprehensive informational packet with suggested readings, common grief reactions of children, ideas on communicating more effectively and tips for helping children cope with grief. The entire family will have fun while learning new coping skills. For more information or to apply for camp: Please call 855-774-5100 or email Camp@CareDimensions.org. Description of program: Nestled alongside the shores of beautiful Sebago Lake, Camp Sunshine provides respite, support, joy and hope to children with life-threatening illnesses and their immediate families through various stages of a child’s illness. The year-round program is free of charge to all families, and includes 24-hour onsite medical and psychosocial support. Bereavement groups are also offered for families who have lost a child to an illness. There are lots of camps for specialty illnesses; please check the website for a comprehensive list. Description of program: Camp Widow® is a weekend long gathering of widowed people from across the country, and around the world. We come together to create a community that understands the life altering experience of widowhood. Camp Widow® provides practical tools, valuable resources, and peer-based encouragement for rebuilding your life in the aftermath of the death of a spouse…all in a fun, uplifting, laughter filled atmosphere. Camp Widow® welcomes anyone who has lost a life partner to participate in this program; all ages, men and women, married and not married widows, LGBT widowed, those with any/no faith background, remarried widows and their new partners. No matter how long you’ve been widowed, or how you joined our ranks, you will find a community like no other when you step up to the registration desk at Camp Widow®. We work hard to offer you a variety of resources that apply to any stage of the evolving journey of widowhood. Description of program: Whether it’s climbing majestic mountains, rappelling down granite cliffs, or navigating across lakes and through forests, your teen will discover the strength they have within to face the challenges ahead. Heroic Journey is a unique Outward Bound program specifically designed for teens coping with the death of a loved one. During this transformational seven-day wilderness adventure, participants experience powerful grief work activities woven into the context of the traditional Outward Bound curriculum. This adventure includes hiking, backpacking, or canoeing and a personal challenge day like rock climbing or high ropes, and much more. It is not intended to be counseling or therapy. It is teens connecting and building supportive relationships with peers going through similar challenges in life. At its essence, it is an intentional wilderness adventure joined with grief processing and support activities for learning coping skills and building an ongoing supportive peer network. Description: The mission of the Wildflower Camp Foundation is to offer scholarship assistance for summer camp and enrichment programs to families in which a parent has died. It is our well-substantiated belief that this opportunity can provide a restorative experience both for the children and the surviving parent. Why camp, you ask? Because summers are the most challenging time for single parent families; while parents work, children need a safe, nurturing place to go. The experience of carefree summer days, the comfort of new friends and wonderful mentors, a break from the pain and stress at home is an invaluable experience for grieving children and a much needed respite for the surviving parent. Description of program: (Suicide loss only camps run once annually in NJ – See Calendar for details) These free weekend-long camps will include confidence-building programs and age-based support groups that break the emotional isolation grief often brings. There will also be fun activities including a challenge course and bonfire. Because everyone here has had a loss and can relate on a level that few others can, you will make lasting friendships. Camp is mostly about fun. We play games, hike, sing karaoke (or watch), and eat s’mores. But there are also times throughout the weekend where you will be able to hear other kids’ stories, and have the chance to tell your own. Everything is done by choice, so you can share as much – or as little – as you want. Description of the program: Camp Kita is a non-profit 501(c)3 summer bereavement camp open to children ages 8-17 who are survivors of a loved one’s suicide. It was established in 2013 by the Mosher siblings after losing their father to suicide. The camp is made possible by volunteers, including medical and clinical professionals. Provide a safe, nurturing environment where child survivors can connect with one another while learning constructive ways to deal with the often unspeakable and fierce emotion of losing a loved one to suicide. By creating a space for child survivors, we effectively ease the stigma around what it means to have lost a someone to suicide. The campers’ shared loss and experience affords them the opportunity of forming deep, knowing bonds with others and thereby forging supportive connections that we hope will last a lifetime. As a community of survivors, our week-long focus will be to provide and explore constructive forms of self-expression. We will practice self-awareness as a way of identifying feelings and communicating them in a focused way. Our focus on grief—on shattering apart—will dovetail with an equally important focus on hope—the power and purpose of piecing oneself together. Most importantly, we will empower campers to utilize the tools and resources we provide so that they may draw upon them throughout their lives.